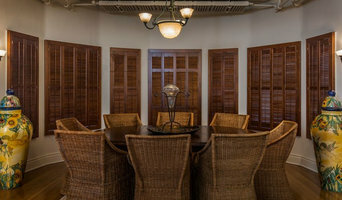 Interior Designer specializing in designing and fabricating Custom window treatments to the trade. Louis Drapery is a designer, manufacturer, and installer of custom window treatment products. We are consultative, cooperative, innovative, family owned, and focused! Continuing a 40 year history and establishing a family legacy taking the business to new horizons. A collaborative experience (us+clients) for our enhancing the quality of life in our clients homes. For over 25 years, Window Collections has designed, engineered, manufactured, project-managed, installed and programmed window treatments in some of the finest homes and commercial properties in North America. We combine expert product and design knowledge about window coverings such as Roller Shades, Roman Shades, Draperies, Natural Shades, and Plantation Shutters to provide homeowners with a smooth and worry-free transition into using the latest in automation technology. We are consistently on the cutting edge of technology and making sure that your automated window treatments are advanced, user friendly, and energy efficient. 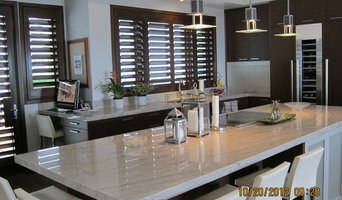 Elite Interiors, Ltd. was established in 1960 in the San Fernando Valley, California. The business was originally started as a Full Service Interior Decorating/Design Business. Some years ago however, we switched our main focus to Window Treatments, Bedding and Upholstery. We are by appointment only.